The electrical distribution system is a key part of every building. 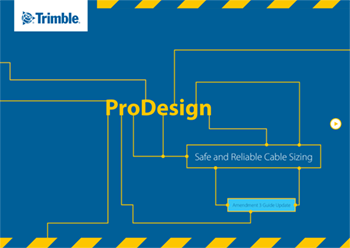 As the designer, you're responsible for selecting the correct combination of cables and circuit-breakers. Failure to do this, opens up the possibility of the occurrence of extremely hazardous fault conditions which may result in loss of vital supplies, damage to cable systems and equipment, and even fire. How safe and reliable is your cable sizing?